PTC’s annual conference is the Pacific Rim’s premier telecommunications event (over 7,600 members and industry attendees in 2018). The Conference is a strategic springboard for the global communications industry, providing all attendees with a three-day platform to focus on planning, networking, and discovering what the new year will bring. 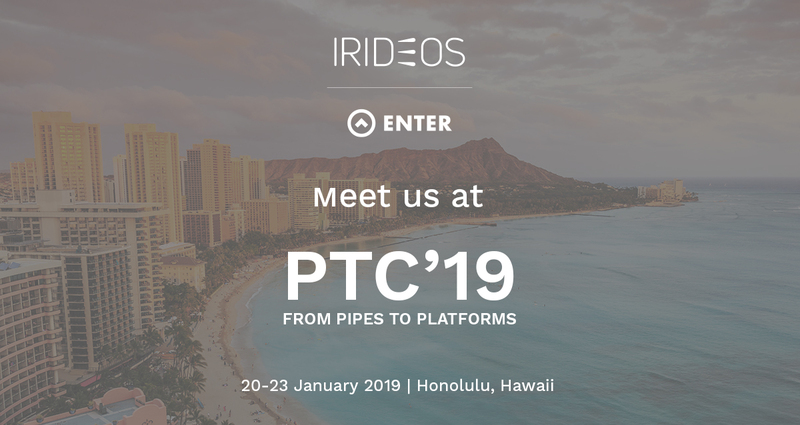 IRIDEOS for the first time will attend the PTC. We are ready to introduce IRIDEOS and its offer. Meet us in Honolulu, Hawaii from 20-23 January 2019!